The latest round of Victoria’s Darebin City Council’s Solar Saver initiative has resulted in 189 solar power systems installed on the rooftops of pensioner homes and community buildings. As in the first round of Solar Saver, this second phase enabled participants to have solar panels installed at zero upfront cost, with the systems paid off interest-free through their Council rates. Repayment levels have been structured to enable financial savings from the first year, depending on electricity consumption. After the ten year repayment period, participants can look forward to even bigger savings for years to come. In addition to the systems, expert advice on energy efficiency is provided free of charge. This information empowers participants to extract maximum value from their solar panels and push their electricity bills down further. The innovative model used to deliver the program has proved to be an excellent way to help Australians who may otherwise be unable to access the technology to acquire solar power systems. The Solar Saver program was a finalist in the 2014 United Nations Association of Australia World Environment Day Awards and yesterday, The Guardian covered the success of the initiative. Darebin City Council again partnered with Positive Charge for this round, with systems also again supplied and installed via Energy Matters, a Flex company. Installations began in February this year and were finalised this week. Energy Matters has installed more than 1,000 PV systems in partnership in Positive Charge for programs associated with ten Victorian local councils. 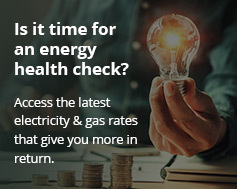 Positive Charge is a social enterprise focused on providing energy saving advice, services and related products to households, businesses, schools and community organisations across Victoria and New South Wales. The Darebin City Council area, not far from Melbourne’s CBD, is home to more than 150,000 people. It incorporates all or parts of the suburbs of Bundoora, Kingsbury, Macleod, Fairfield, Alphington, Northcote, Preston, Reservoir, Coburg and Thornbury. Solar Savers has significantly boosted the overall PV capacity of the Council Area and there’s certainly plenty of interest in using the power bill-busting technology. According to the Darebin City Council 2014 Household Survey Report, just under ten percent of respondent households reported they were using solar panels at the time, with more than twice as many considering installing solar power systems within the next five years.